This book is so adorable. 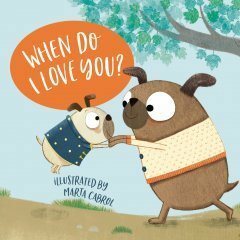 Full of quirky charm, the various animals share the love and warm the reader’s heart in the process. I find myself reaching for this board book often and my two-year-old and I giggle our way through the rhymes. The pictures are sweet and encompass lots of different seasons and settings. I voluntarily reviewed a complimentary copy of this book from BookLookBloggers. All views expressed are my honest opinion.